Hi there keepers, I have truly found out the meaning of ‘ Do not count your chickens before the eggs have hatched ‘ . We bought eight fertile eggs from our regular breeder, she said at the time she was having about an 80% hatching rate, good we thought, we’ll have six new chicks, which would bring us to capacity for our urban chicken run, maximum allowed in our city 12 hens, no roosters. So three weeks ago we popped the eggs under our broody hens and waited with excitement, we discussed the feed requirements, planned the trip to the rural store some miles away, to buy the special chick feed. This very weekend I made some measurements for extra chick requirements in the coop, anticipating that they would be along at any second. However yesterday when I looked in on the broody pair, I was so disappointed, it seems they have broken most of the eggs, I’m not sure if it’s just from being clumsy on the nest or if one of them is attacking the foreign eggs, but it appears that only four are left intact, and whether they will hatch now after 24 days seems unlikely, it was very frustrating and annoying after all the efforts I’d made for the arrival of these chicks, so I can now say the saying ‘ Don’t count your chickens before your eggs have hatched’, from first hand experience. Good luck with your hatchings. Hi there keepers, the seasons are a changing, we’re in springtime down here in New Zealand, the Daffodils have been and gone, the Bee’s are swarming, and the hens are aware of the new year, Renee has already started to brood 2 days ago, we want to get some fertile eggs to put under this time, as are small flock has been depleated with the loss of Nelly and Daisy, and also last year Renee sat on the nest box for 2 months of more, and became quite dirty and thin, we thought if we give her some chicks to rear, she be off the nest quicker. Another feature of the warmer weather is flies, this hadn’t been much of a problem in the past, other than a few extra ones in the house on occassion, however this spring I have encounter a nasty side of flies, one of our Shavers or Cinnamon Queens as someone described them the other day, had an infestation of maggots, I had heard of fly blown cattle before, mainly sheep, but didn’t realise chickens were suseptable to them, since making a comment on another forum, I had several accounts of lots of different animals being attacked by fly, kittens seemed to be the most disturbing. What I found was an open wound just below her vent, with 30 – 40 maggots wriggling around, quite digusting, as it was just below the vent it got very dirty, from the look of her comb, I’d say she got a touch of blood poisoning, I noticed a slight darkening to the tips of the comb. So it was into the operating theatre ( laundry room), hot bath’s and cut away the dirty feathers around the wound, alot of the maggots came out in the hot water, but some needed prizing out with a cocktail stick, it wasn’t pleasant, the smell of the wound added to the whole experience. After ensuring all the maggots were out, and the infected flesh had been removed, I just scrape it away with wooden skewer, once this had been washed out with warm water using cotton buds, I applied some antiseptic cream. I repeated this for 3 days, and she seems to be on the mend, although she’s not out of the woods just yet, she’s very weak from not eating properly. I’ll let you know how she gets on of course, and any other bits that crop up with the changing seasons. happy keeping. Hi there, just a post to let you know i’m here, and general update on the girls. They are all molting at the moment, feathers everywhere, I’m afraid they do look rough, tails have gone, poor Gloria has gone bald on top, and as for Betty the previously beautiful Golden Lace Wyandotte, she looks like she been in a bad fight and lost. Nancy the top hen seems to be keeping her feathers quite intact, and Manuella Conchita Gonzales the Minorca has only lost a couple here and there. 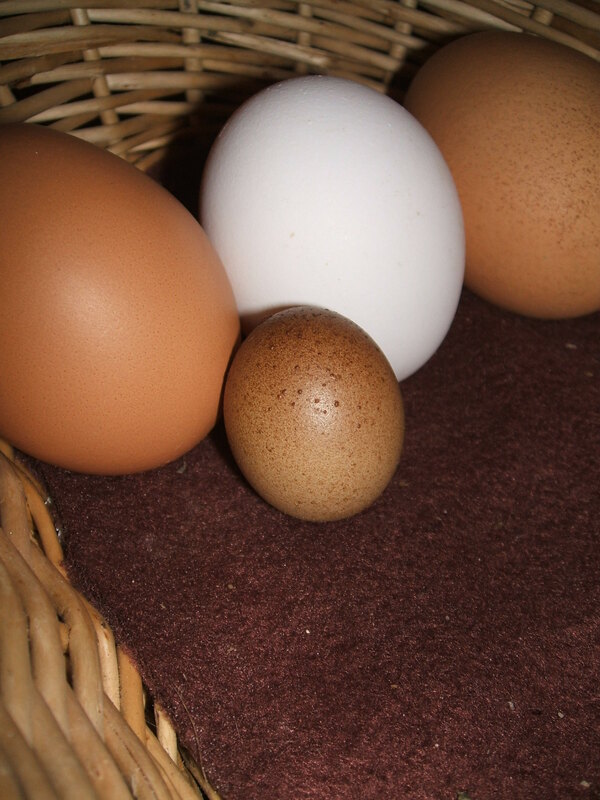 As a result of all this molting, egg production has gone down, only Manuella is still laying. 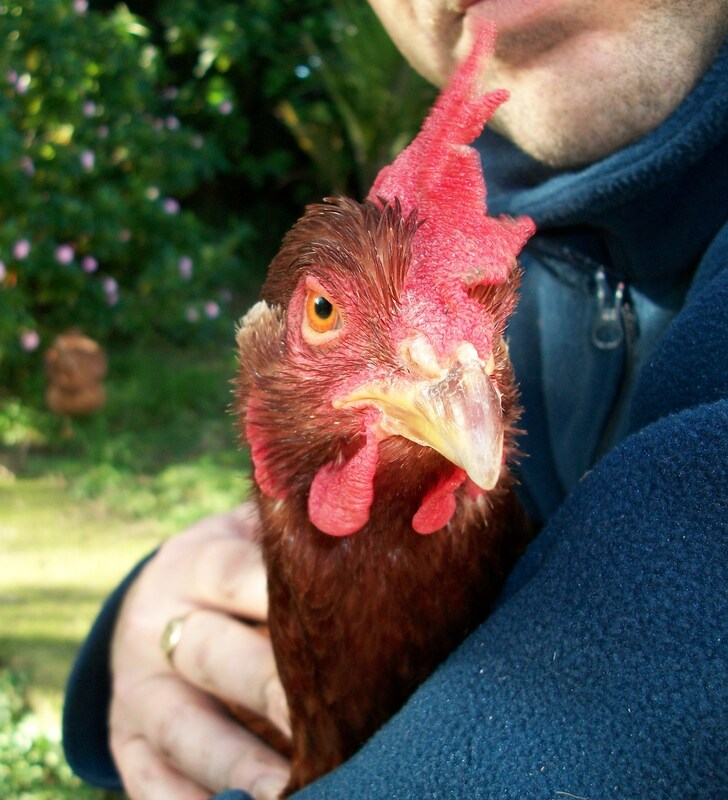 On an up note, Daisy our wandering hen, has been captured by myself, around the block at the neighbours. I took her home and locked her in a cupboard for 3 days, not quite as bad as it sounds, what I really did was contain her in a large dark tool cupboard under the house, with plenty of food and water, until it seems, she has forgotten about the nest around the corner, which took 3 days. I had read elsewhere that this is a cure for a broody hen. I have been very busy working away from the house for the past couple of weeks, and it dawned on me late last week, that I hadn’t seen one of our hens Daisy for a few days. She is prone to being hassled by swamp hens and traffic as she tends to roam the neighbourhood a bit, mainly she goes around the block to a house that feed the wilds birds and fowl. Only about a month she was attacked quite badly by the pukeko’s ( swamp hens), as I hadn’t seen her for days and she wasn’t returning to the coop at night, I feared the worst. I looked around the area for signs of an attack, i.e feathers everywhere, but nothing, she seemed to have disappeared. Then two days ago as my better half was walking to work, she saw Daisy over at the neighbour who feeds the birds with bread everyday, she crossed over to grab her to return her home, but she growled in her leave me alone chicken way and ran off across the road into the scrub beside the stream. I presume she has a nest there somewhere, I haven’t found it yet, but it was relief to know she’s still alive, even though I’m a bit annoyed she’s moved out and I can’t find her eggs. They keep you on your toes. Hi there keepers of the chickens, great news, we have another layer, hoorah!, just as my patience were wearing thin with them, they have pulled through. I happened to notice that this morning, Betty was missing from the group, who were seeking the sun patches in the garden, so I started to look around for her, and I heard the quietest little ruffle in the bush, and sure enough it was her sitting on a nest. I pretended I hadn’t seen her of course and proceeded back in to the house, shortly after loud clucking came from the garden, and there she was making the loudest noise I’ve heard her make ever, I think she saw me. I went over to where she had been hiding, and there were three little eggs, her first I think, I noticed her trying to nest under another bush a few days ago, but i thought it was a bit out in the open for her, well she has found a new spot, which means I have found two new nests this week, so now four out of seven are providing eggs, Nancy is still broody with only one egg under her, I’ve been over twice trying to push her out of the nest, but she won’t budge, I can’t get her out as she is behind the neighbours shed, snadwiched between that and the trellis fence at the back of the shed, I just worry she will go hungry, and in these cold conditions she may fall ill, come home Nancy. Hi there keepers, it seems Nancy has gone broody again, I didn’t expect her to do that in the wettest part of winter, I thought her maternal instinct would tell her that this isn’t the right time of year to bringing chicks into the world, but not so, she has managed to find her way back in behind the neighbours shed, even though they have screen off the outdoor area where the shed is, she has performed her mission impossible stunts to enable her to get back into her favourite spot. I recovered 6 eggs from underneath her the other day, two of which didn’t pass the float test, so she must have been laying back in there for a couple over two weeks, there were at least another four eggs under her, and at least one had broken, for the eggs I retrieved were covered in yolk and pieces of broken shell. She is spending her nights in there now, which seems to have cut down the fighting for position in the coop , come roosting time. The last time Nancy went broody, it was for some 10 weeks, I wondered how long this one will last, as the weather is very different, cold and wet, I imagine the warm of the coop will draw her back sooner this time.